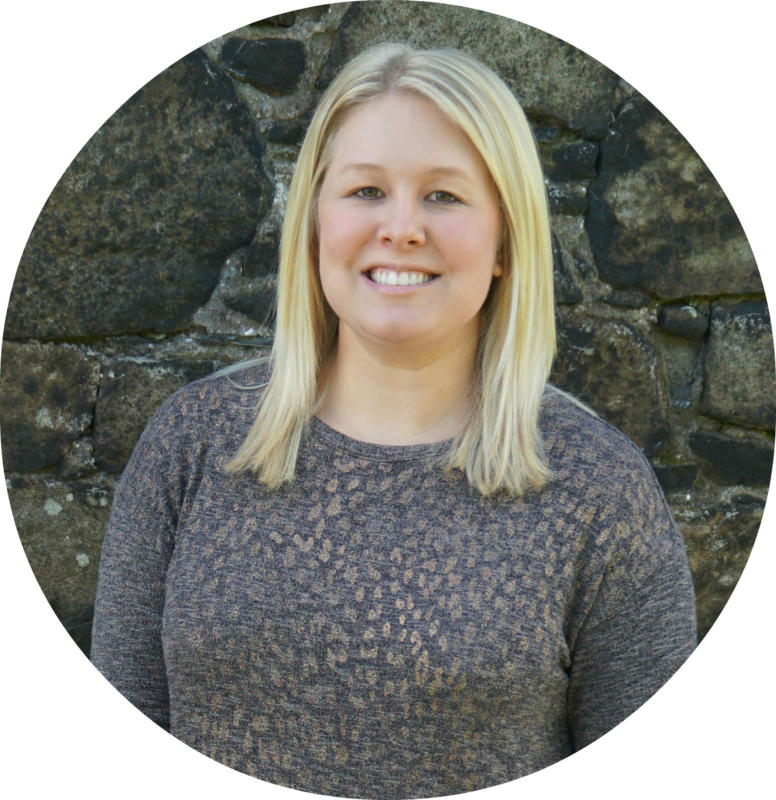 Disclaimer – I was provided products for review courtesy of Quarto. As always, I only promote products that I genuinely like and would use myself. Thoughts and opinions are my own. I think that sometimes the hardest part of crafting is gathering the supplies. I swear I always forget something and each project requires at least two trips to the store. So when I was introduced to the idea of all-in-one crafting kits, I was definitely intrigued. *This post contains affiliate links. I receive a small percentage of the purchase price at no additional cost to you. If you look at my craft board on Pinterest, you’ll notice that I’ve been pinning macramé projects for months. 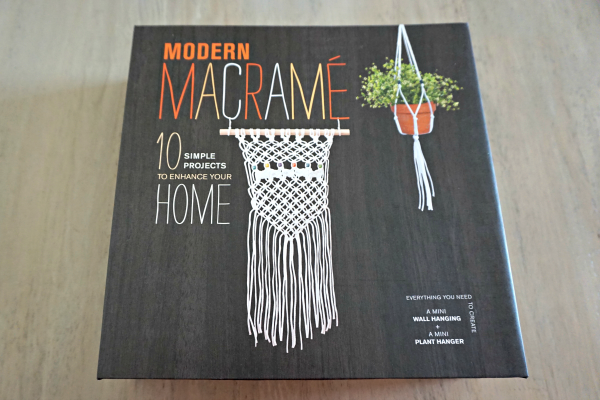 So it should be no surprise that one of the kits that I picked was a macramé kit. 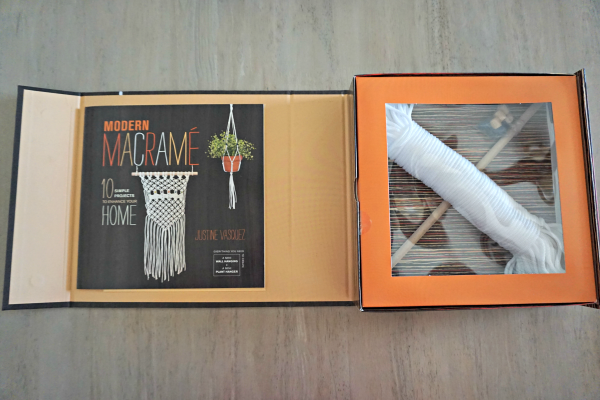 Modern Macramé includes step-by-step instructions, knot tying techniques, and all the supplies needed to create a mini plant hanger and mini wall hanging. 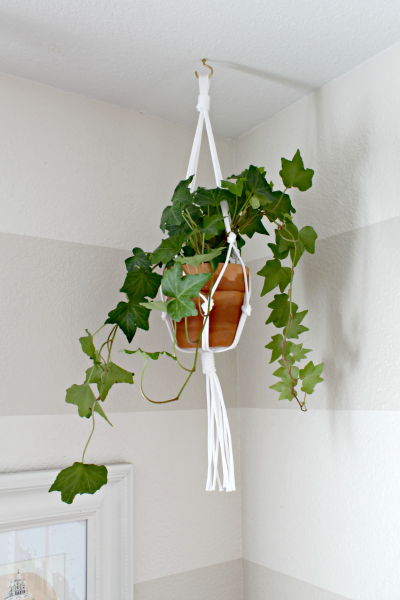 The mini plant hanger was super simple and quick to make. I love how it turned out! I can’t wait to make another using different color string and knot tying techniques. I feel like there are so many options for this kind of project. I just used a pot that I had in the shed, but I think it would look so great painted a fun color or some kind of pattern. Maybe I’ll work on that this weekend! When I told my mom that I was learning how to macramé, she told me about taking a macramé class with my grandma in the 1970s. I don’t know why I find that so entertaining, but I love picturing my mom and grandma in a macramé class together. It’s true that everything comes back in style! I also received Embroidery Designs: Modern Monogram. 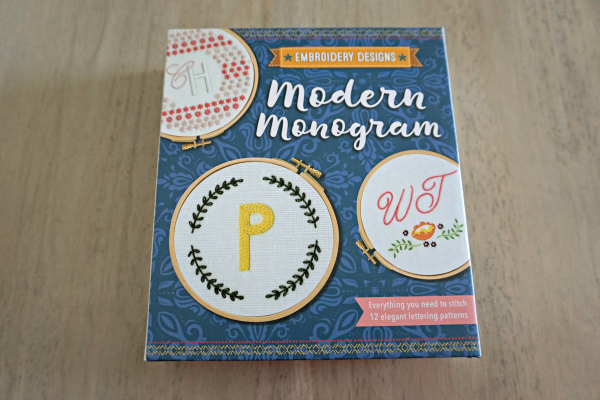 As the title suggests, this kit includes a step-by-step instructions, embroidery techniques/stitches, twelve patterns and a selection of lettering, plus all of the supplies needed to create your first embroidery project. I haven’t started this project yet, but I think it’ll be a great way to unwind at night while Adam watches basketball. Both kits are available on Amazon and are currently under $20! Christmas is coming up (wait, what?!) and these kits would make great gifts for all ages and skill levels. Is this coming back into style. I did this as a kid back in the late 60's early 70's. Yes I am old I realize that. First thing I made was a holder for plants. Isn't it funny how things come back in style? wow this turned out beautiful!! great job! Thanks! I built it up into a huge project in my head, but it was actually so easy! I was just talking about this the other night with my friends from my wine club...I mean book club. 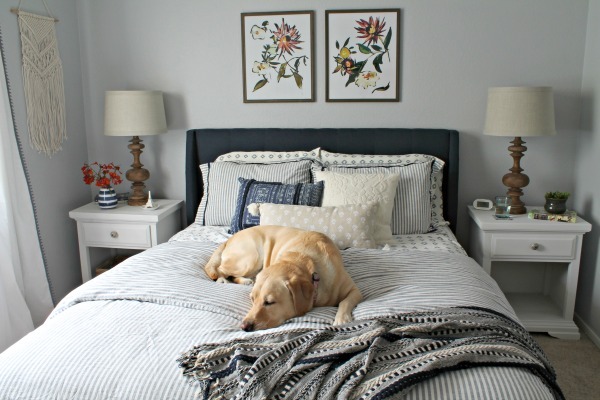 Macrame is so in (again!) Everything old is new again!!! What a great idea! I agree, sometimes it seems daunting (and pricey!) to gather the initial supplies. Love the way your pot hanger turned out! Daunting is such a good way to describe it...although it usually ends up not being a bid deal (except for the extra trips for forgotten supplies)! I love the mini plant hanger, so cool! Awesome! I follow(and love!) a few macrame geniuses on IG and this kit looks like a good way to test the craft! Yes! I'm seen some amazing macramé pieces lately! This project is definitely a baby step, but I'm going to try the small wall hanging next! Ha awesome! I forgot this was even a thing! And it's totally coming back! It's crazy how things come back in style! Love these! I've been interested in macrame, so i might have to check out that book. 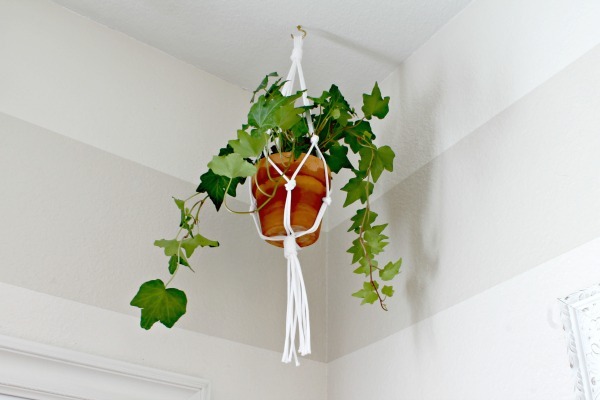 Your plant hanger turned out super cute!